Ecwid is a powerful e-commerce plugin, and a lot of people don’t know about one of it’s most powerful features: the ability to embed Ecwid. What Does it Mean to Embed an Ecwid Store? Being able to embed your Ecwid store means that you can add it to absolutely any website. All you need to do is copy the Ecwid embed code for your store, and paste it to a page on your site. It’s as easy as that! This is one of my absolute favorite Ecwid Commerce features. Where Can I Embed my Ecwid Store? You can embed your Ecwid store to any website. You can add your Ecwid store to WordPress, Weebly and Wix websites for example. Using Ecwid to replace WooCommerce or Wix is eCommerce is a great way to transform your website into a powerful e-commerce platform. You can also embed your store to multiple websites that belong to you, and others (with their authorization of course). It is incredible that not only can you add your Ecwid store to absolutely any website that you own (for example: WordPress, Weebly, Wix sites), but you can add it to multiple websites at the same time. Let’s say for example you run multiple WordPress sites, and you want to use the same Ecwid store. All you have to do is embed your ecwid store to all of your WordPress websites. If you work with affiliates or partners, and get their authorization, you could also embed your Ecwid store to their websites. The ability to embed your Ecwid eCommerce to any website is a huge business opportunity. Very few e-commerce solutions that are made for business owners are capable of offering this feature. (I have seen some solutions but they are mostly geared towards developers). If you manage multiple websites and you want to centralize all your products and transactions, Ecwid is an excellent solution. Ecwid is capable of being the central hub of all of your online sales. From marketplaces like Amazon and eBay, to social media like Facebook and Instagram, Ecwid is true omni-channel e-commerce that really centralizes all of your sales. You can take us to the next level by embedding your store to multiple websites across the web. Embedding your Ecwid store to multiple websites will help you generate more targeted traffic. You just need to make sure that the websites where you are embedding your store are pertinent. Don’t add your food-related store to a clothing website for example. Work with affiliates and partners that are in the same niches as you, and help them monetize their websites while you make more sales. Do I have to Embed my Whole Store? No, you do not have to embed your entire Ecwid store. You can embed one specific product, one specific category, or your entire store. Let’s take a look at a couple examples. If you have specific affiliate products and you would like to embed that one product on a website, all you have to do is grab the Ecwid Buy Now Button code that specific product. If you have multiple WordPress sites and you would like to only embed specific categories on specific websites, then all you have to do is grab the code for that specific category. If you work with partners and you want to provide them with your entire store, then all you have to do is copy your store code. Here is how to embed a Ecwid product to a website. Simply replace STOREID with your Store ID number (available at the bottom of your Ecwid seller control panel). You also need to replace category ID with your category ID number. You can get your category number in your category URL. 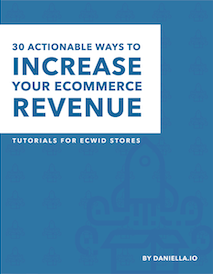 There are a couple things to keep in mind when embedding your Ecwid Store. The best way to embed your Ecwid store is using an app or a plugin. However sometimes apps are plugins are not available. In that case you would use the integration code. Here’s how to embed your Ecwid store to different CMS ( Content Management Systems), or websites. There is a whole bunch of new options that the Ecwid WordPress plugin offers. You can add a shopping bag, search bar, or recently viewed products widgets. Have a look at them and setup what you believe is best for your store. Simply follow these steps as many times as you need, in different WordPress backends, if you would like to embed your store to multiple WordPress websites. It is going to load Ecwid’s default products. Click anywhere on Ecwid’s demo products, and click on Settings. If you already have an account, sign in. Click on “Connect your store” and if you’re sort is already open, Wix will automatically connect your store. And there you go your store is now in Wix and there’s a new tab that appeared at the top of the screen. So you can edit your store’s appearance by clicking on Settings. You also have the ability to change the colors of your website right here which is really useful instead of going into your store’s backend and changing your CSS. Here’s how to embed you’re a good sort to your Weebly website. Search for Ecwid > Click on “Add” > Then, Connect. Weebly is going to ask you to create an account, or log in if you already have an account. All you need to do in Weebly is drag and drop your store to wherever you want. Now you can’t actually see it in your backend. So click on Publish and then go see your website. 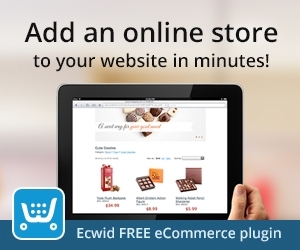 If you would like to embed Ecwid store, then all you need is your Ecwid integration code. I recommend using this Ecwid integration code method if you have a website that does not have an Ecwid plug-in, or is that is possibly older and in HTML code. Embedding your Ecwid store with the Ecwid buy now button, or the Ecwid embed code can help you gain more targeted traffic and centralize your sales. 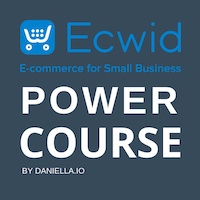 If you would like to learn more about embedding your Ecwid store, or if you are looking for more up to date tutorials check out my Ecwid eCommerce Power Course. The course will teach you how to boost your Ecwid eCommerce sales with exclusive Ecwid-specific tutorials. Click on the button below to learn more.